Why is it that some of the Brexiteers are acting with the stridency and anger that would be appropriate if the UK were being expelled from the EU? Is this a tacit recognition that what they have got is not, in fact, what they were asking for? 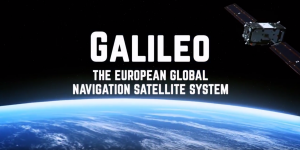 The latest example concerns the UK’s departure from the Galileo satelite navigation system. Former Science Minister, David Willetts, was strident on the Today programme, which was picked up with predictable force by The Express. His point is that the UK has already contributed a great deal to this, both in terms of money and technological skill, and would be willing to pay for continued participation. But there is a rub. Part of Galileo will deliver satellite navigation which is available generally, but part of it will include encrypted resources for military use. 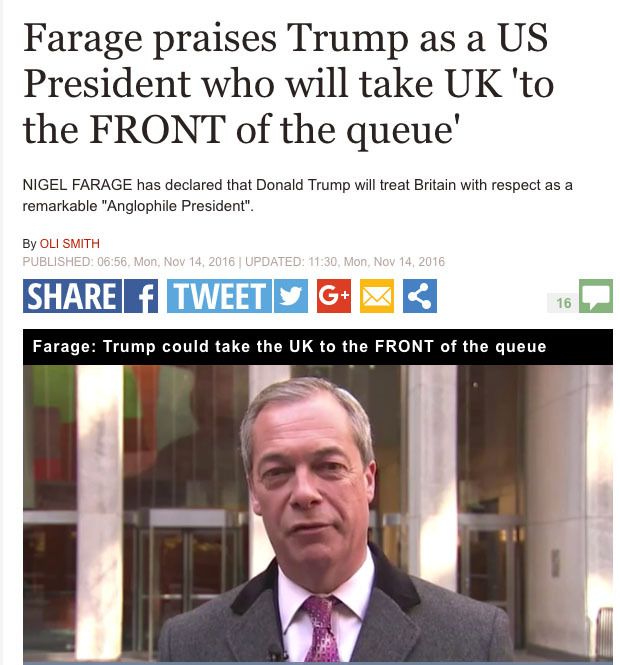 After Brexit (if it happens) the UK would be a “third nation”, outside the EU. It would be crazy to think that the EU would be willing to share its defence facilities with a “third nation”, except in the sense tat a nation might share some things with allies in NATO. To give away core defence capabilities would, and should, provoke the same horror and anxiety as if (say) the UK handed over its defence capabilities to the USA. 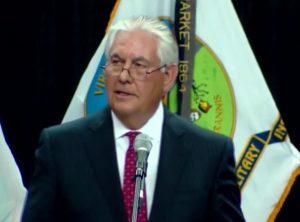 Speaking at the Virginia Military Academy commencement, former Secretary of State, Rex Tillerson’s comments on truth have been heard as a not-so veiled criticism of Donald Trump’s questionable grip on truth and the corrosive effects of that on democracy. Tillerson is right, but he also highlights a very Western approach, which is becoming a big part of the problem. come across as wise and measured. He speaks of technology, of the need for truth, and for the protection of freedom of speech. He also speaks of globalisation and the changes it is bringing. 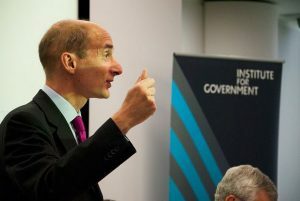 The crux of his comments on truth is the much-quoted phrase “you will know the truth, and the truth will set you free”. But that quote comes from St John’s gospel. It is both a statement on freedom, and something deeply rooted in the Christian heritage of the West. Tillerson goes on to talk about “allies who share our values” and others. Inadvertently, he highlights one of the key anxieties of globalisation. Freedom and truth are good things. Christianity is also the bedrock of Western society. But, despite the West’s now-complex relationship with its Christian heritage, religion is part of a “double inscription”: on the one hand, it shapes the way we view the world, and our experience of the world shapes our religion. It is extremely hard to step outside this. Even Westerners who reject Christianity tend to get up in the Christianity they are rejecting (or its mirror image). Substantial Labour gains in the local elections in 1995 were the first clear indication of the landslide that brought labour into overnment in 1997. The 2018 Local elections haven’t matched that, despite the mess the Tories are clearly in over Brexit. What’s going on? Comments since the Local Elections have highlighted the significance of Labour’s failure to make substantial gains on Thursday, which is particularly striking given the savaging that the EU Withdrawl Bill is getting in the upper house. So….will probably regret saying this…. Why vote for #brexit lite if Tories are offering full fat over the cliff Brexit? I have speculated that Labour might be in a careful shift on Brexit, which could enable them to come round and bring at least some of their Leave-voting supporters with them. It’s worth hoping. But Adonis has a point. The nature of Tory support has been changing for several decades, at least since the cultural shift when Margaret Thatcher succeeded Edward Heath. When the phrase “Basildon man” was coined, it caught a sense of traditional Labour voters switching to the Tories because Thatcherism was speaking to their aspirations. They were voting Tory out of a sense of where they wanted to be, where voting Labour would have reflected where they were. Few people can be unaware of the growing publicity around plastic in the environment. It‘s great that our plastic bags and or drink bottles don‘t fall apart on us, but not at all great when the same plastic harms wildlife in the sea or in landfill — pictures of the stomachs of dead sea birds clogged with plastic should ring alarm bells, but plastic broken into tiny pieces is a serious problem, and much harder to address. Addressing this is problematic. For an individual supermarket chain to act means they risk pushing up their costs. It is possible to offset that by appealing to the increasing numbers of environmentally-conscious consumers, but it is still a risk. Greenpeace’s Plastics Pledge is a good idea. Tesco, Sainsbury‘s, Morrisons, Aldi, Lidl and Waitrose, are all supporting it: working together means that none of them lose ground to their competitors over this. But there would be a strong case for legislation over this, so no business has a competitive advantage from ruining the environment in this way. The problem is that, if the British government acts alone over this, it risks putting British business at a disadvantage. In effect, this is the same problem as for an individual business, but pushed up a level. Are Liberal Democrats getting the messaging wrong over Brexit? Recently, an active and experienced Liberal Democrat campaigner challenged me over the party’s messaging on Brexit. He suggested that this was coming across as confused. My first instinct was to defend what we have been doing, but on reflection, I think he has a point. The aim of this article is to ask the question a little more widely. My impression is that the Liberal Democrat parliamentarians and media office have been doing an outstanding job in trying to hold the government to account in the mess over Brexit, and of making people aware of this. I was in the debate at Conference which affirmed the Liberal Democrat policy of seeking a referendum on the deal, and can see the wisdom of this, but can also see that it can need explaining — which is a hostage to fortune. But, I’ve had people on street stalls ask me what our position is before signing a petition for a people’s vote on the final deal. I’ve had people read that text and still want to check that this means they are signing something against Brexit. That comes across as a measure of the anxiety and paralysis Brexit is inducing. 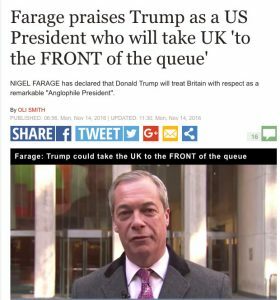 Author Mark ArgentPosted on 7th May 2018 7th May 2018 Categories Brexit, Liberal Democrat, PoliticsTags ExitFromBrexit, Liberal Democrat Brexit messagingLeave a comment on Are Liberal Democrats getting the messaging wrong over Brexit?